If you are interested in getting some iOS 8 pizzazz on your iOS 7 powered iPhone or iPad, at least you can get some Notifications love. While devs can enjoy their beta versions, we can take a few things from here and there to get the latest iOS 8 feel on our devices. 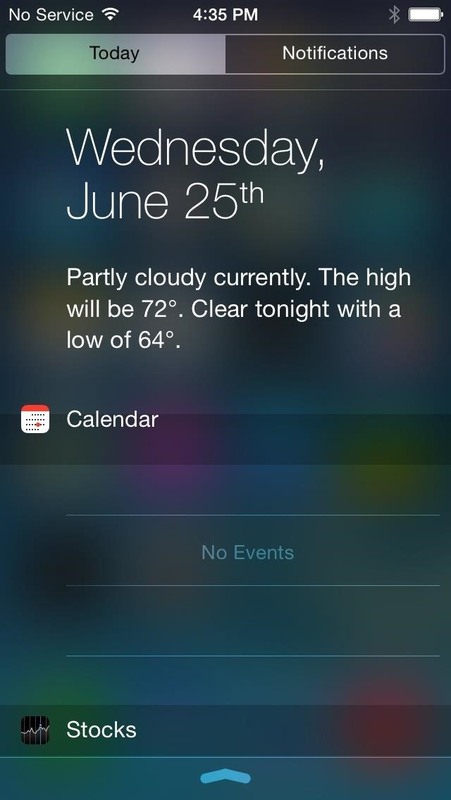 Here is how you can get iOS 8 Notification Center for your iOS 7 powered devices. iOS 8 Notification Center combines both the All and Missed tabs in to one single tab now titled as Notifications. A new edit button at the bottom lets you access your Notification Center settings quickly and the overall blur looks more transparent now with widget and notification titles having a background bar. Here are the steps to get iOS 8 Notification Center on iOS 7 powered devices. 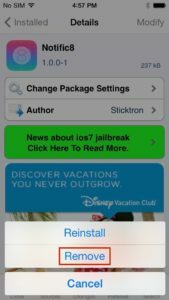 Install Notific8 iOS 7 jailbreak tweak from Cydia app store: open Cydia, search for Notific8, tap on Notific8, Install, and Confirm. Once the app download is done, select Restart Springboard to refresh the settings. When your iOS 7 jailbroken device gets booted up back, you will have the iOS 8 Notification Center in effect. When your device boots back up, you will now have the iOS 8 Notification Center. If you then intend to remove iOS 8 Notifications, you can do so by going back to Cydia > tap on Installed > Notific8 > tap on Modify > Confirm > and hit Remove. Like before, Restart Springboard to have the settings in effect. 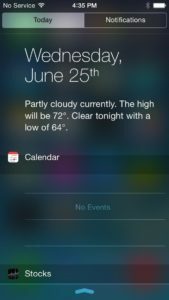 Notific8 developer, Stricktron intends to make improvements and changes as they happen to the iOS 8 Notification Center during the different beta builds.